Every dog needs grooming. A healthy, clean coat is often the indication of a healthy, happy dog – indeed, a lack of grooming can even lead to health problems over time. Grooming should therefore be a routine part of the health care of your dog. Studies have shown that regular grooming can also reduce stress and blood pressure for both you and your dog, and can aid bonding. Brushing is perhaps the most important aspect dog grooming. All dog owners should possess a soft slicker brush and a medium comb, and all dog owners should brush their dogs weekly (or more, depending on coat type). Teeth cleaning should also be part of a weekly grooming routine, and you should also check your dog’s nails and ears. In addition to this, all dogs ideally need yearly visits to a professional groomer (although many dogs will need monthly professional grooming), who can check thoroughly for fleas, ticks, grass seeds or anything else that you might have missed, as well as tidy and clean the coat. They can also “blow out” the coat in moulting season, meaning your dog will shed less in your home. Double coats are made up of a top coat of long guard hairs that are usually water repellent, and an undercoat of fleecy downy hair to keep the dog warm. These coats shed heavily twice a year, although dogs with a double coat can moult all year round if they live in a centrally heated house. This type of coat needs grooming a few times a week (daily during their moulting season) with a slicker brush and a shedding rake. Labradors, German Shepherds and Huskies all have double coats. Single coats are made up of a single top coat of hair that may or may not be water repellent. These dogs generally shed less, and need less grooming than double coated breeds. This type of coats needs grooming once a week with a soft pin and/or a slicker brush. French Bulldogs and Greyhounds have single coats. Smooth coats. These coats are made up of short hairs that lie against the skin. 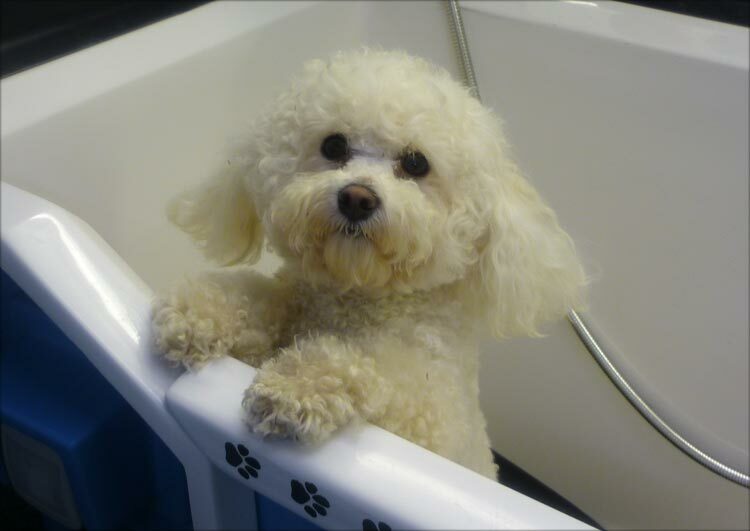 These dogs need gentle weekly grooming with a Jelly Scrubber to remove loose hair and promote the dog’s circulation. Dalmatians and Whippets are smooth coated breeds. Wire coats. These can be single or double coated and feel coarse to the touch. This type of coat needs brushing twice a week with a curry comb. They can also need hand stripping by a professional groomer on occasion. Most Terriers have wiry coats. Woolly coats. These fluffy, soft coats require a lot of maintenance and grooming. They are non-shedding, so they can need daily brushing with a slicker brush to loosen hair and prevent/remove any tangles and mats. Dogs with this coat will also need regular trips to the groomer for clipping. Poodles and Bichons have woolly coats. Silky coats. These coats have soft, long-ish fur that needs regular bushing to prevent tangles. Use a pin brush twice a week to tease out any tangles, then follow with a bristle brush to add shine. These dogs also need trips to a professional groomer from time to time to tidy the coat, and some breeds will need to be professionally hand-stripped. Spaniel dogs have silky coats. Corded coats. These dogs have thick, long hair that essentially forms into dreadlocks. Dogs with corded coats are quite rare, and need specific home and professional grooming. Pulis and some Poodles have corded coats. If you are a professional groomer, it is vital that you outline to clients the importance of breed and coat research. As professional groomers you have a wealth of knowledge on the subject which your customer may not, so it is suitable to offer advice where necessary. Remember, some dog owners may not know how often they should brush their dog’s coat or take them to the groomers, especially if they are a new dog owner. As an authority on dog grooming, you can offer clients a detailed routine for grooming their dog at home, as well as recommend products they could use. You could even show customers how to approach simple home grooming task such as nail clipping, ear cleaning or brushing techniques. 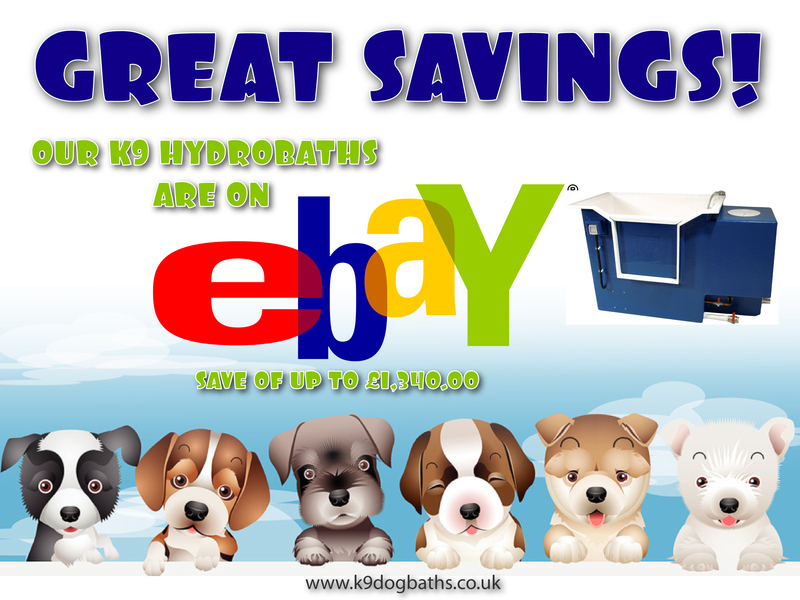 Call us on 01323 743666 or visit www.k9dogbaths.co.uk for more details on how K9 Mobile Grooming Supplies can put your dreams in motion. 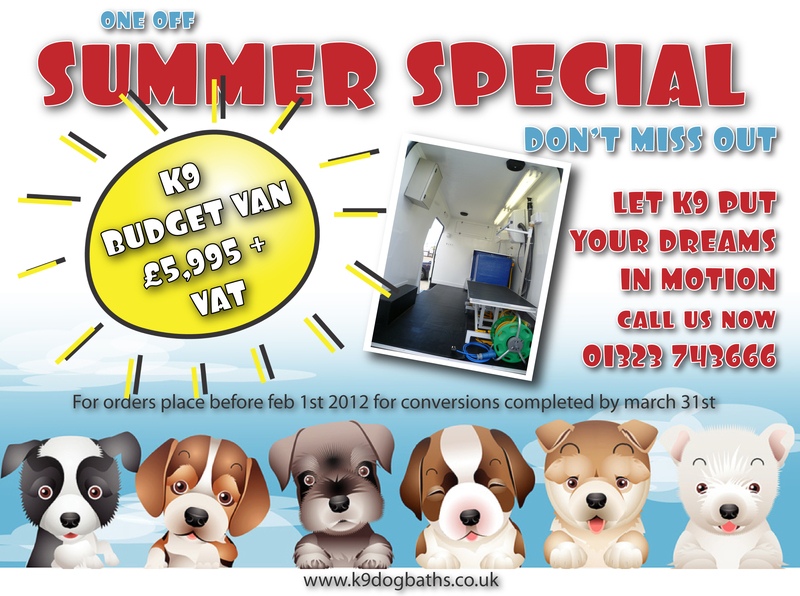 DON”T MISS K9’s ONE OFF SUMMER OFFER!!! 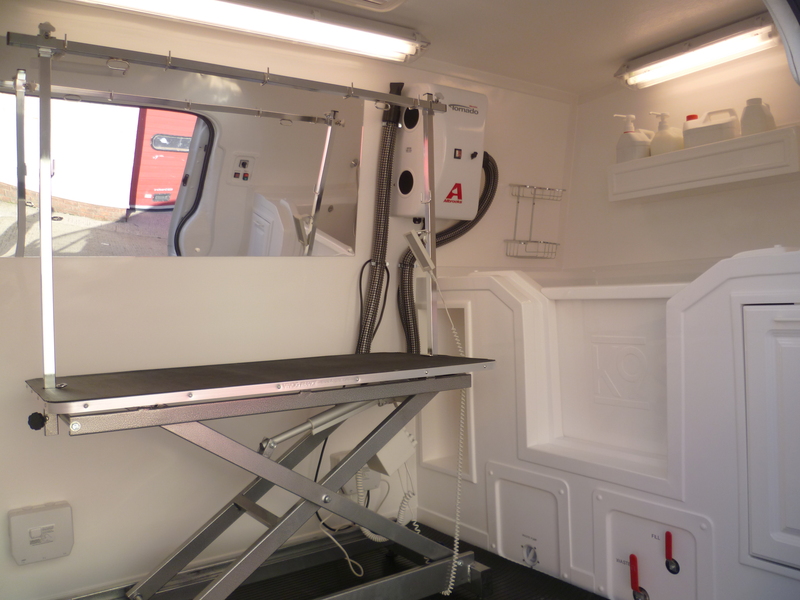 Your Mobile Grooming Van is the result of 10 years experience of manufacturing the K9 Professional conversion. We have supplied approximately 150 units to the UK, Ireland, Holland, Belgium, France, Malta and Cyprus. 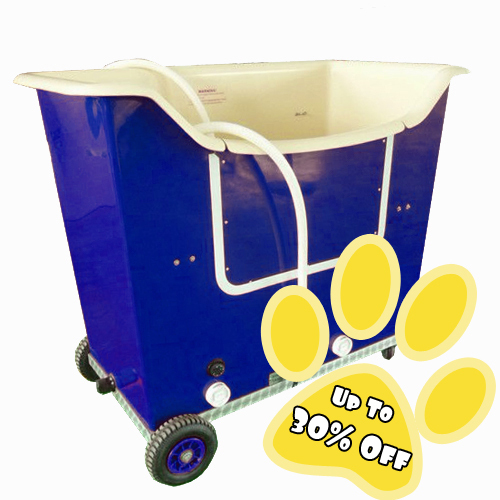 Fundamental to the design is the fibreglass lining which provides a completely watertight “wetroom” environment and ensures there is no premature rusting of the van from the inside, and, of course, the famous K9 Hydrobath. Electricity and water are a dangerous combination. We provide a safe working environment with natural light and fresh air. Our unique electrical consumer box ensures that you, your customer and your customer’s dog are protected from any electrical fault or malfunction. 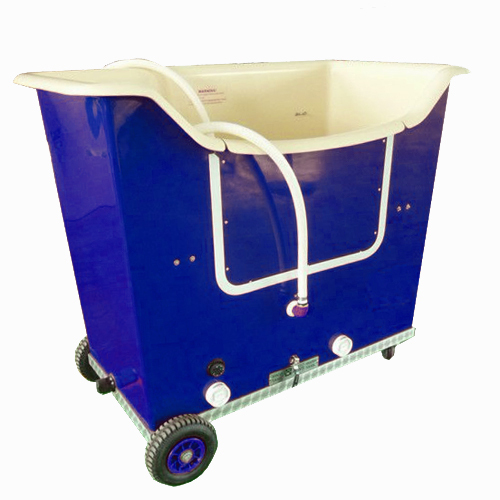 The high standard of our workmanship and the selection of the very best equipment will ensure a long working life for your Grooming Van. You need to be confident that your Grooming Van will not let you down, so we only choose the best vehicles and the high standard of build ensures that “lost” working days are kept to a minimum. 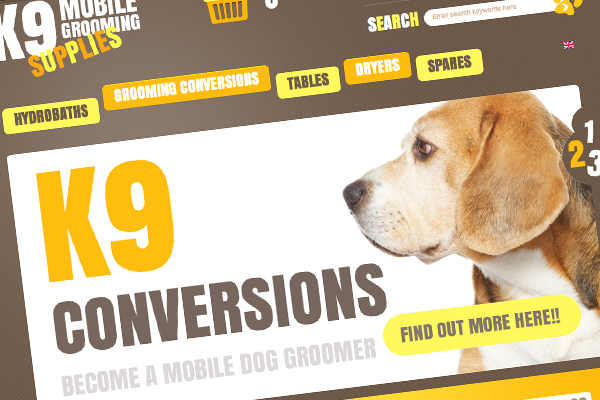 A professionally converted van by K9 Grooming provides the opportunity to charge more for your services. Some of our customers are averaging £50 per visit and comfortably earning £50,000 per annum. A K9 Grooming Van Conversion on a 3 year old van will cost £25,000 including VAT, and the investment can be repaid in less than a year, so why compromise and settle for second best!! This is probably one of the most valuable reasons why you should not buy a DIY conversion. 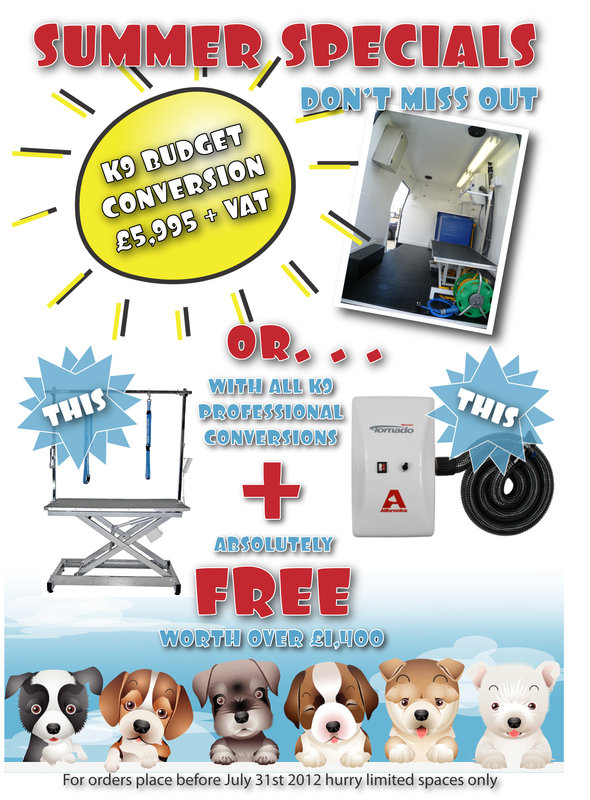 A K9 van comes with a 12 month warranty and we are always here with a helping hand if something goes wrong, the risk when buying a DIY conversion is that if something goes wrong you may not be able to get in touch with the person you bought it from, we on the other hand are not going anywhere! We always endeavor to fix any problem as quickly as we possibly can to avoid your van being off the road any longer than it needs to be.